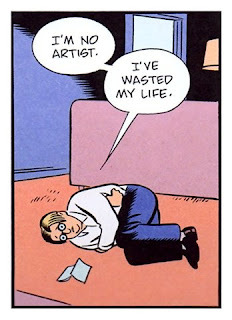 Not every artist is an addict, and certainly not every addict is an artist. Getting wasted has wasted many an artist. Scott Fitzgerald. Dylan Thomas. Jack Kerouac. Jackson Pollack. David Smith. Errol Flynn. Marilyn Monroe. Oliver Reed. Lenny Bruce. John Belushi. Chris Farley. Janice Joplin. Elvis Presley. Jerry Garcia. Amy Winehouse. And more. Novelist Steven Pressfield thinks the path of addiction comes easily, but not inevitably, to the artist. She can choose to get wasted; or she can choose to work. "There are two ways to know if you’re taking the addict’s path or the artist’s," Pressfield says. "One, the artist’s way requires work. We have to sweat to find surcease of pain. And two, the artist’s imperative is to maintain self-sovereignty, not abdicate it. Her heart may surrender momentarily in order to hear heaven’s music, but her feet remain planted here on earth, where she will do the work to bring that song to human ears." Work obsesses the most unlikely of artists, Jimmy Buffet. According to his editor, Terry McDonell, Buffet has always worked—never for money, but "only because it was good for Jimmy Buffet." PS: With Jimmy Buffet's buy-in and enough financial backing, I plan to open the first Margaritaville-themed nursing home, Wasting Away, in Q4 2017. Call me now, to invest. NOTE: This post does not constitute an offer to participate in any investment.